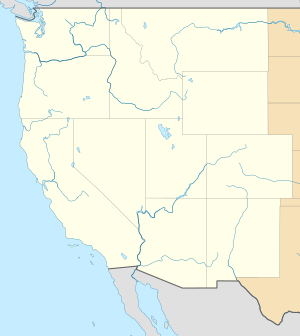 The Pioneer League is a Minor League Baseball league which currently operates in the Rocky Mountain region of the United States. In the past, it also operated in adjoining portions of Canada. It is classified as a Rookie League and is staffed with mostly first and second-year players. The Pioneer League is a short-season league operating from June to early September. Along with the Appalachian League, it forms the second-lowest rung on the minor league ladder, the "Rookie Advanced" level. While classified as a Rookie league, the level of play is slightly higher than that of the two spring training complex-based Rookie leagues, the Gulf Coast League and Arizona League. Unlike those leagues, Rookie Advanced leagues charge admission and sell concessions. The Pioneer League began in 1939 with six teams in Idaho and Utah, operating at the Class C level. The original six teams were the Boise Pilots, Lewiston Indians, Ogden Reds, Pocatello Cardinals, Salt Lake City Bees, and Twin Falls Cowboys. With players in short supply due to World War II, the league suspended operations for the 1943 through 1945 seasons. In 1948, the league expanded by adding two teams in Montana; the Billings Mustangs and Great Falls Electrics. In these early years, teams in the league either operated independently or were affiliated with Major League Baseball (MLB) or Pacific Coast League (PCL) parent clubs, as the PCL was attempting to grow (but ultimately failed) into a major league. When MLB's Los Angeles Dodgers displaced the PCL's Hollywood Stars in 1958, the Stars relocated and became the "new" Salt Lake City Bees, remaining in the PCL and taking away the Pioneer League's largest market. By 1959, the Pioneer League was down to six teams; Billings and Great Falls along with the Boise Braves, Idaho Falls Russets, Missoula Timberjacks, and Pocatello Athletics. The league operated at the Class A level for one year (1963), before changing to Rookie league in 1964, when there were only four teams in the league; the Idaho Falls Angels, Magic Valley Cowboys, Pocatello Chiefs, and Treasure Valley Cubs. By 1978, the league had again grown to eight teams — Billings and Idaho Falls along with the Butte Copper Kings, Calgary Cardinals, Great Falls Giants, Helena Phillies, Lethbridge Dodgers, and Medicine Hat Blue Jays. With the exception of 1986 (when there were six teams), there have been eight teams in the league since then, and it is not likely to change without further expansion or contraction within Major League Baseball. In 2016, total league attendance was 616,686, down slightly from the 2015 total of 633,622. After the 2018 season, the Helena Brewers relocated to Colorado Springs, Colorado, where they now play as the Rocky Mountain Vibes. Bold text indicates active teams. James R. McCurdy is the current president of the Pioneer Baseball League. McCurdy received his BBA from the University of Houston in 1970 and his JD from the University of Texas School of Law in 1974. He mediated the restructure of Minor League Baseball's governing structure in 1992 and was an inaugural member of the MiLB board of trustees from 1992-94. In 1993, he was appointed by the president of MiLB to serve on the Professional Baseball Executive Council. McCurdy was elevated to the position of league president in 1994, replacing Ralph Nelles who was the president from 1975 to 1993. McCurdy also teaches sports law courses at Gonzaga University School of Law and the University of San Diego School of Law. His publications include: Sports Law: Cases & Materials (with Ray Yasser, C. Peter Goplerud, and Maureen Weston) (7th ed. LexisNexis 2011), Thunder on the Road from Seattle to Oklahoma City: Going from NOPA to ZOPA in the NBA, in Legal Issues in American Basketball ch. IV (Lewis Kurlantzick ed., Academica Press 2011), and, The Fundamental Nature of Professional Sports Leagues, Constituent Clubs, & Mutual Duties to Protect Market Opportunities: Organized Baseball Case Study, in Legal Issues in Professional Baseball ch. IV (Lewis Kurlantzick ed., Academica Press 2005). League champions have been determined by different means since the Pioneer League's formation in 1939. There were postseason playoffs when the league operated as Class C (1939–1962), except for 1939 and 1956, and for the three years during World War II when the league did not operate. In the league's one year as Class A (1963), there were also postseason playoffs. After becoming a Rookie league in 1964, the league champions were simply the regular season pennant winners through 1977. Since 1978, postseason playoffs have again been held to determine a league champion. ^ "Pioneer League: Attendance (2016)". www.milb.com. Minor League Baseball. Retrieved August 15, 2017. ^ "Pioneer League: Attendance (2015)". www.milb.com. Minor League Baseball. Retrieved September 23, 2015. ^ "New Name on Tap for Colorado Springs Pioneer League Team". Ballpark Digest. June 13, 2018. Retrieved June 14, 2018. ^ a b c "James R. McCurdy". 2015-12-11. Retrieved 2016-08-11. ^ "Pioneer League Champions". Pioneer League. Minor League Baseball. Retrieved August 13, 2017. ^ Johnson, Lloyd; Wolff, Miles (2007). Encyclopedia of Minor League Baseball (third ed.). Baseball America. ISBN 9781932391176. Wikimedia Commons has media related to Pioneer League. This page was last edited on 25 February 2019, at 16:01 (UTC).